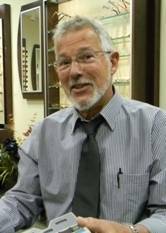 Brian, our highly experienced, knowledgeable and well-trained licensed optician, will assist you with selecting and fitting your new glasses! Today, there are many technical aspects of lenses such as index of refraction, anti-reflection treatments, photochromic lenses and the myriad of complex lens types like aspheric and no-line bifocals. Brian is also well-versed in understanding the glasses benefits of your vision plan, such as VSP and EyeMed. Utilizing our lab's state-of-the-art computerized patternless edger, Brian will meticulously and accurately fabricate your prescription glasses in-house whenever possible.